5/10 Cup of Coffee: After they both struggled mightily in their last starts, Brian Johnson and Teddy Stankiewicz each had better performances yesterday, though Johnson still was not sharp. Josh Ockimey (pictured) stole the show in Greenville, but it was not enough to push the Drive past the Fireflies. Both Pawtucket and Portland struggled on offense, as the two teams combined to score one run on only 10 hits. After only making it through one inning in his last start, Brian Johnson tossed seven innings yesterday, but he still struggled as he dropped his third decision of the season. Johnson's control was better than it has been in some of his recent starts, but it was still not back to where it has been in the past. He walked three and struck out four while allowing five runs on nine hits. He has an ERA of 4.34 over his last 18 2/3 innings, but that does not tell the full story, as he has walked 14 while allowing 18 hits. Chris Marrero led the way offensively, going 2 for 4 with a double while Blake Swihart, Rusney Castillo, and Sam Travis each added singles. Teddy Stankiewicz bounced back in a big way, but it was not enough to propel Portland to a victory. After allowing eight runs over 3 2/3 innings in his last start, Stankiewicz allowed two runs on five hits over six innings last night, walking one and striking out four. Nik Turley finished off the game with two scoreless innings. Stankiewicz has tossed quality starts in five of his first six appearances with the Sea Dogs, and aside from last week's hiccup, he has allowed two runs or fewer in each start. There was not much to note offensively for Portland, as the team could only muster up five hits. Jake Romanski went 2 for 4 with a double, and Aneury Tavarez drove in the lone run with a double. Romanski and Tavarez continue to produce on a Portland team that is currently scoring under three runs per game. The Drive failed to execute with runners in scoring position, as they dropped a tough one to the Fireflies. Marc Brakeman got the start, allowing five runs on seven hits over five innings. He walked three, struck out five, and was helped out by two outfield assists. Jeffry Fernandez tossed the final four innings, limiting Columbia to one run as his ERA rose to 1.69. The Drive went 3 for 14 with runners in scoring position, as they wasted a tremendous effort from Josh Ockimey. Ockimey went 2 for 2 with a double and three walks, but only scored one run. Mitchell Gunsolus had the only other extra-base hit for the Drive, as he doubled and later stole home as part of a double-steal with Tate Matheny. Player of the Night: It has been a tremendous start to the season for Josh Ockimey, and he tied a season-high by reaching base five times last night. 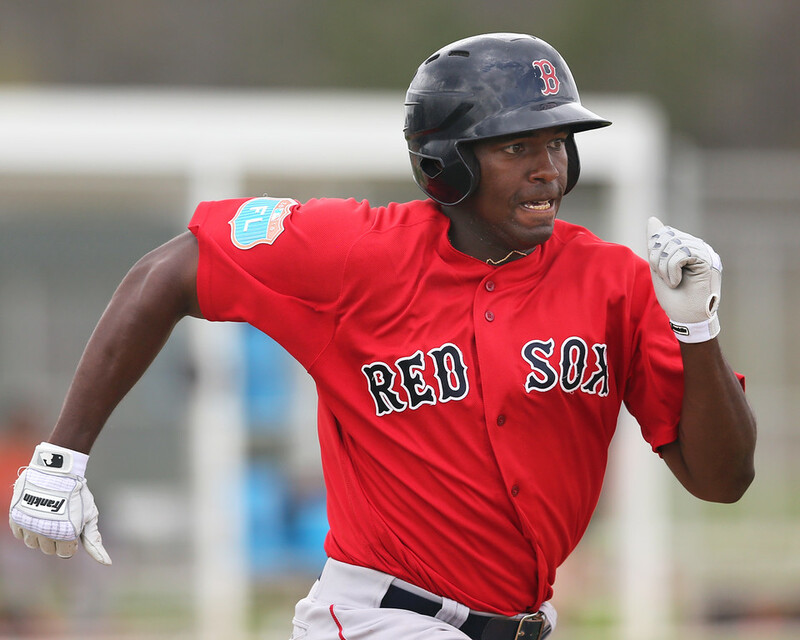 A fifth-round pick in the 2014 draft, the 20-year-old has excelled in his first full season, putting up similar offensive statistics to both Andrew Benintendi and Yoan Moncada. Ockimey's power has really stood out, as he has slugged 14 extra-base hits, including six home runs, which is tied for the most in Boston's farm system.